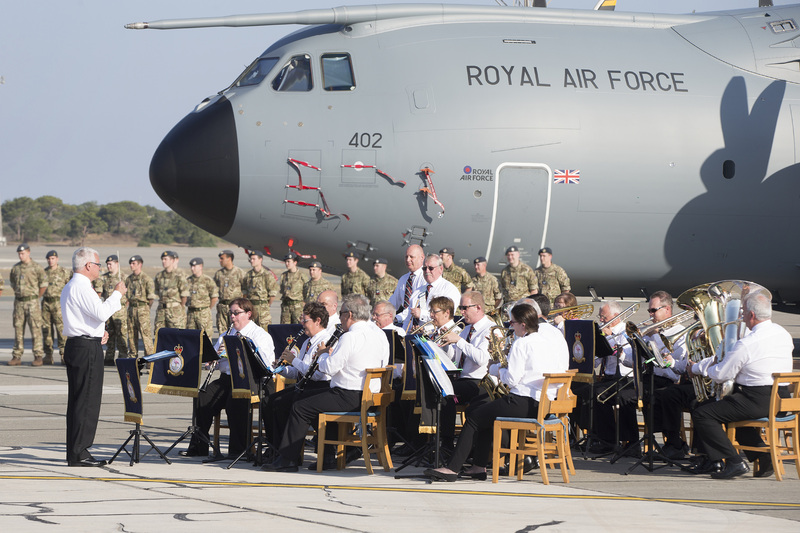 Based just outside Wolverhampton, this friendly and versatile Band provides musical support for ceremonial and social occasions at RAF Stations throughout the UK and abroad. They are also popular in the local community. In recent years the Band has participated in concerts in Symphony Hall, Birmingham, visited the Falkland Islands and Cyprus and performed for Her Majesty the Queen. The Band's assortment of musical styles and formations reflects the diversity of their engagements ranging from concerts and parades, to more intimate occasions like receptions and dinners. Other ensembles have been formed to add variety. Membership is free and open to all experienced musicians. Rehearsals are well attended and fun with everyone striving to get the best from themselves and their sections. Pat joined the Royal Marines Band Service in 1976 and three years later became only the second recipient of the prestigious ‘Princes Badge’ for the best all-round musician at the end of his training. As a clarinettist and violinist he travelled extensively throughout the world, gaining first-hand experience in a wide range of musical genres. In 1990, he attended the RM Bandmasters Course at the Royal Marines School of Music in Deal, Kent. During this time, studying conducting, composition, harmony and music history, he gained LRSM and ARCM conducting diplomas. From 1993 he was Bandmaster of bands in Portsmouth and Dartmouth, until in 1998 becoming the Project Leader for the RM Band Service’s successful bid to become ‘Investors in People’. Retiring from the Royal Marines in 2000, Pat became Tour Manager for the Monteverdi Choir’s ‘Bach Cantata Pilgrimage’, before moving to Birmingham as the Orchestra Manager of the City of Birmingham Symphony Orchestra. After several years teaching woodwind for Birmingham Music Service, and clarinet and conducting at Wolverhampton University, Pat took charge of the Voluntary Band at RAF Cosford in April 2015.